The US Army intends to purchase 131 additional Armored Multi-Purpose Vehicles (AMPVs) in 2020, some of which will fall under a third low-rate initial production (LRIP-3) buy. According to fiscal year 2020 (FY 2020) budget planning documents, the service wants to spend USD485.7 million next year on its AMPV programme. Within the base budget, the service has said it wants to move out on a LRIP-3 buy with USD264 million for 64 AMPVs, while also spending USD221.6 million in Overseas Contingency Operations (OCO) funds to purchase 66 vehicles. 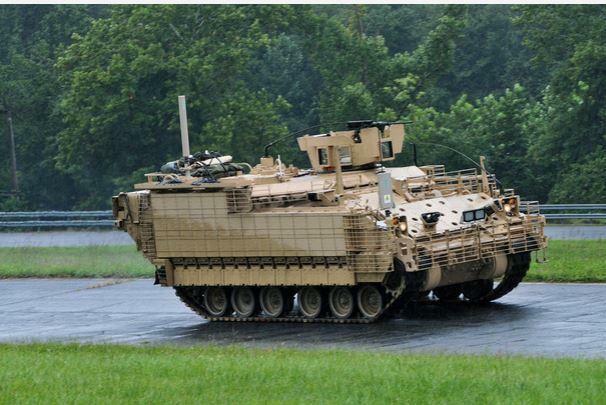 “The AMPV will mitigate current and future capability gaps in force protection, mobility, reliability, and interoperability across the spectrum of conflict,” the US Army said. You explain to me what the US Army is doing. Last I heard from the commenters is that this program was being curtailed. Now they're about to buy 131? Oh and I get it. They're dipping into the Pentagon slush fund, the Overseas Contingency Operations (if that isn't the most misused fraudulent budget line currently going I don't know what is...you can bang on social programs all you want and I get it, but this is willful and obvious fraud/waste/abuse...this fund is to fight/prepare for unforeseen circumstances not budget plus ups!). More puzzling and frustrating? They're using it to buy more vehicles in an "unprogrammed" state then they are thru the normal budget procedure.